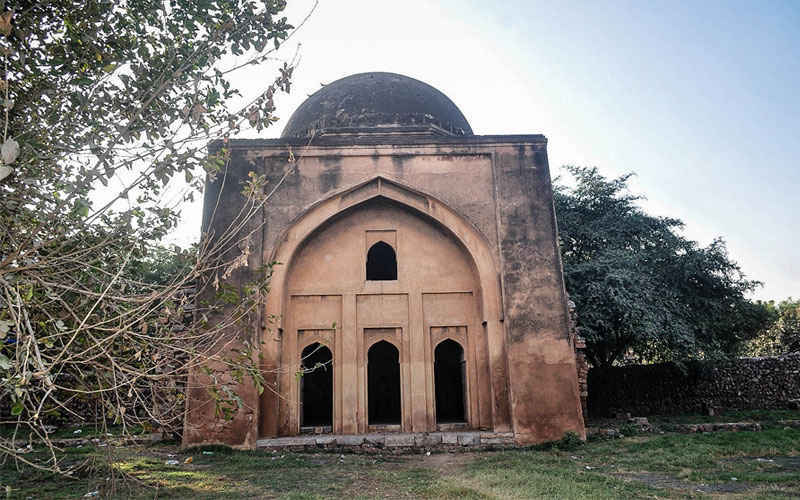 On The Hauz Khas Gumbad Trail - Come On Along to See the Untouched HKV! 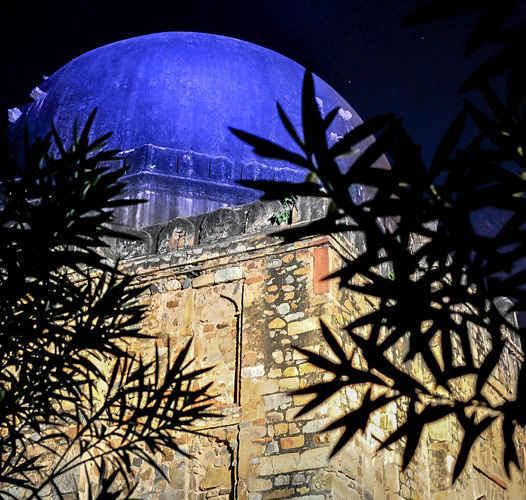 Hauz Khas, once the royal water reservoir catering to the city, is now mostly overshadowed by the posh, ethnic marketplace that you know as the Hauz Khas Village (HKV). 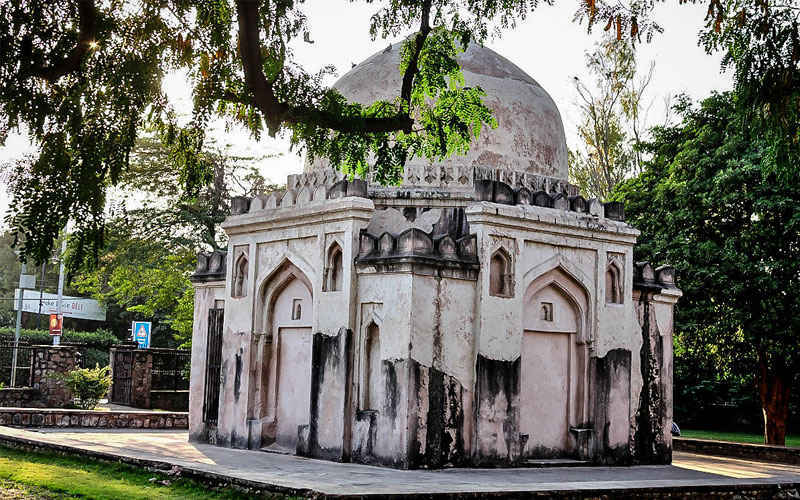 While the monuments behind the HKV are easily visible, blink-and-you-miss these beautiful domed monuments, or as they’re endearingly called - ‘Gumbads’! 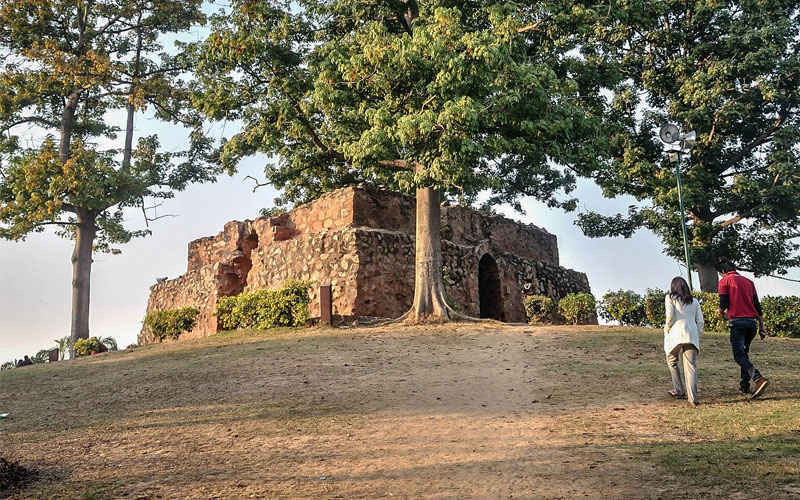 These monuments belong to the pre-Mughal era and display the traits of typical Islamic architecture patronized by the Khilji, Tughlaq and Lodi dynasties. 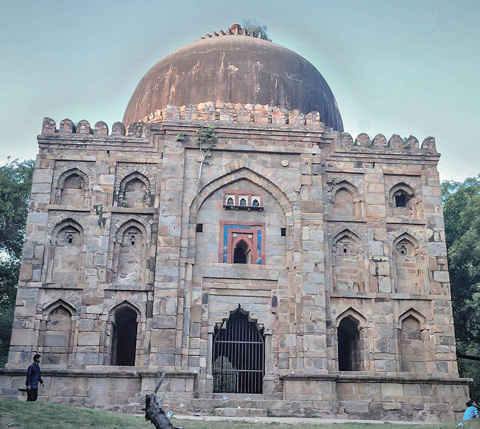 The majority of these ‘Gumbad’s or dome-like structures were built as royal mausoleums! Dadi-Poti Tomb | This is probably the largest and most well preserved of them all. It contains two tombs, supposedly belonging to a grandmother-granddaughter duo. It is not very far from the Aurobindo Place market and is the first one that you will encounter on the HKV road. While their exact identity is not known, they are believed to be from the Tughlaq or Lodi era between the 14th to 15th centuries. Barah Khamba | The next one on the same road is the Barah Khamba. It’s another one from the Lodi period and as the name suggests, is surrounded by twelve pillars. Sakri Gumti | This one’s a narrow dome covering just 4.57 square meters. This Lodi era building has no grave inside and so it’s speculated that it might have been a gateway rather than a tomb. Chhoti Gumti | It is a small dome with an area of 8 square metres. The painted medallion of the ceiling suggests that it is from the Lodi era but hey, all we can do is guess! Biran Ka Gumbad | This is another one from the Lodi period. The name suggests, it belongs to a royal brother. Located just near the main Green Park Market, it’s surrounded by modern day constructions in such a manner that you may easily miss it if you’re not careful! 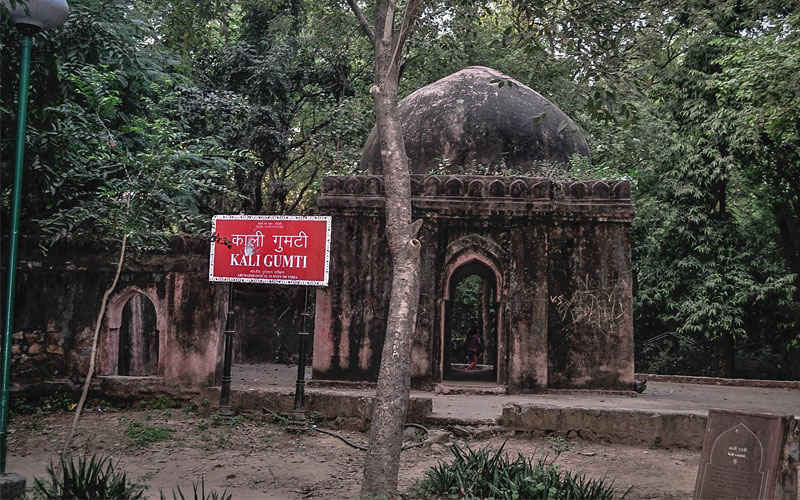 Kali Gumti | You can just stumble upon the Kali Gumti while jogging inside the Deer Park. It is a very small black-ish dome and not much information is really know about its provenance. Bagh-e-Aalam ka Gumbad | A much larger and imposing structure inside the Deer Park is the Bagh-I-Alam Ka Gumbad. This formidable stone structure from the late Lodi era is surrounded by lush greenery of the park and you can happily relax on the benches located in front of the dome for some down time. 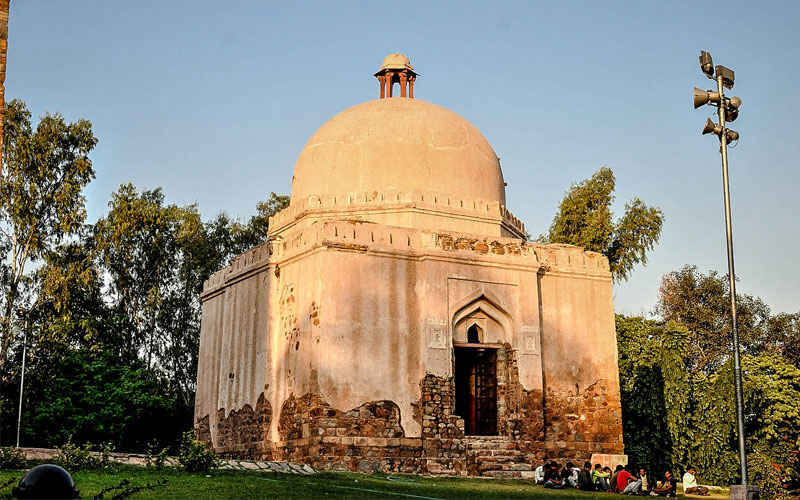 Munda Gumbad | The Munda Gumbad can be found at one corner of the Hauz Khas Lake and it is not far from the Deer Park. It is believed to have been built at the time of Alauddin Khilji. Time has taken its toll and the roof has just about disappeared, thus lending it the present name (lol). But still it’s quite a sight to behold and the lawn surrounding it is very well-maintained. 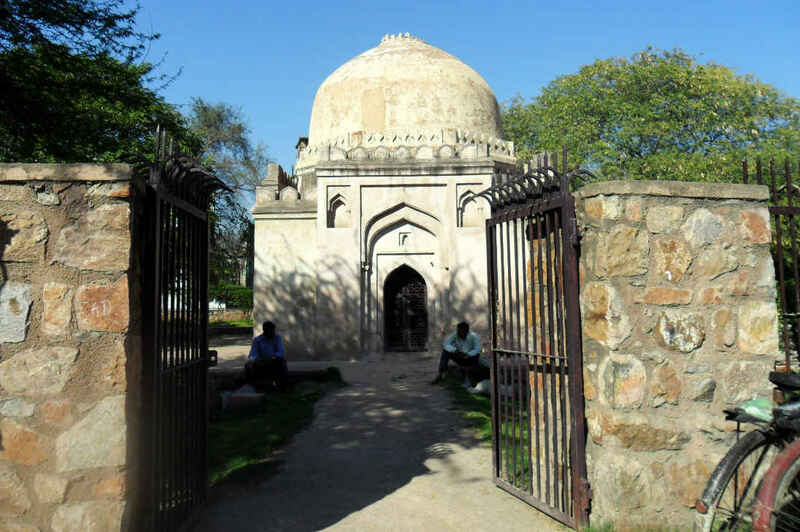 Tohfe Wala Gumbad | The Tohfe Wala Gumbad is located on the edge of Siri Fort and Shahpur Jat. 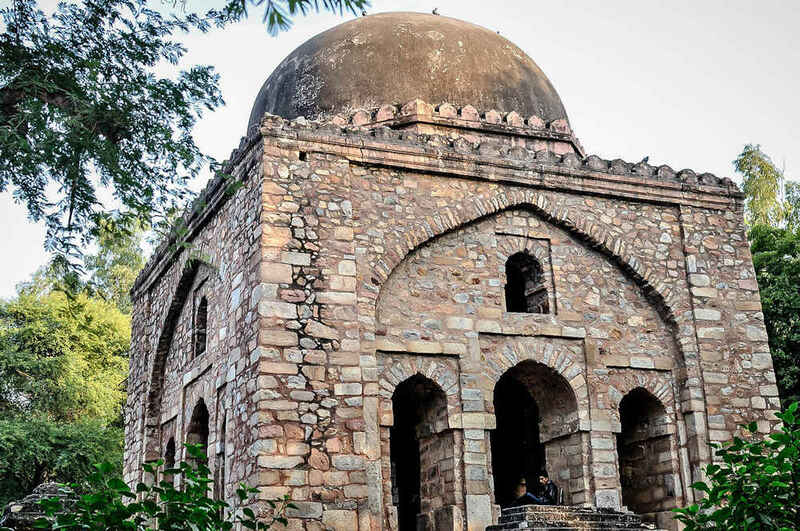 Built during the reign of Feroz Shah Tughlaq in the 14th century, this structure is actually a mosque. P.S. - The gates are mostly locked after dark and so start a bit early if you want to cover all of them in a single day! The lights at night do add an entirely different hue to the monuments but you will not be able to get close to them - happy exploring!